Provides a sequenced, reliable, two-way connection-based data transmission path for datagrams of fixed maximum length; a consumer is required to read an entire packet with each read system call. CAUTION:All combinations of domain(first argument) and type(second argument) are not valid. 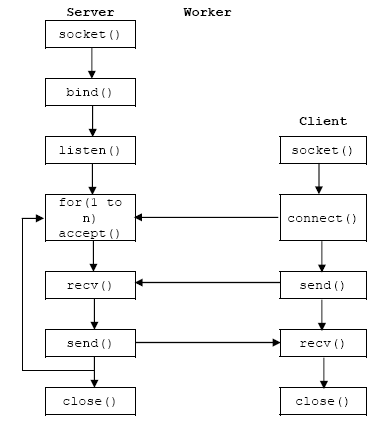 The third argument protocol specifies a particular protocol to be used with the socket. Normally only a single protocol exists to support a particular socket type within a given protocol family, in which case protocol can be specified as 0.